If you're looking for advice on how to reduce churn in your SaaS company, you won't be short on reading materials. There are over 400,000 results for the phrase reduce churn on Google. GrowthHackers alone lists 600+ articles on the subject. If you were to follow the advice on all the listicles on the first page of the Google results, you would come away with 64 ways to reduce churn. We're sure each is giving great advice, but these articles are often too vague. Yes, you should talk to your customers. Yes, you should target the right audience. Yes, you should create a great value prop. But what is missing from most of these articles are concrete actions you can take to actually reduce churn. To try and reset that balance in favor of actual results, here are three proven ways to plug the holes in your business and keep customers around. The benefits of an annual plan are obvious. Cash upfront, an increase in customer lifetime value, and 12 months of churn-free bliss. 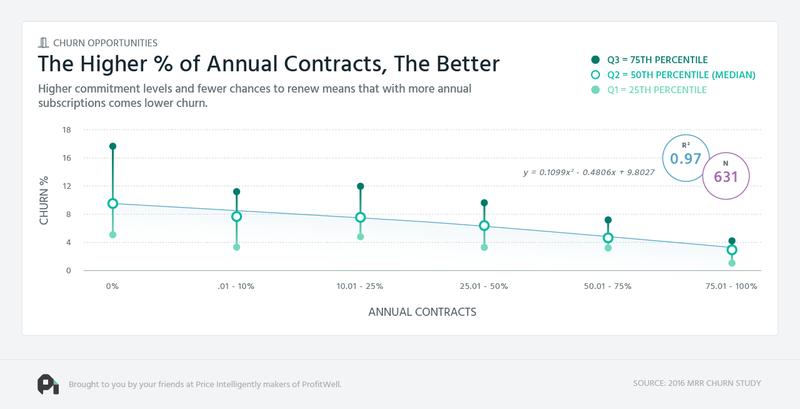 Yet 70% of SaaS companies still only have monthly pricing. This is because, paradoxically, they see annual plans as too risky. 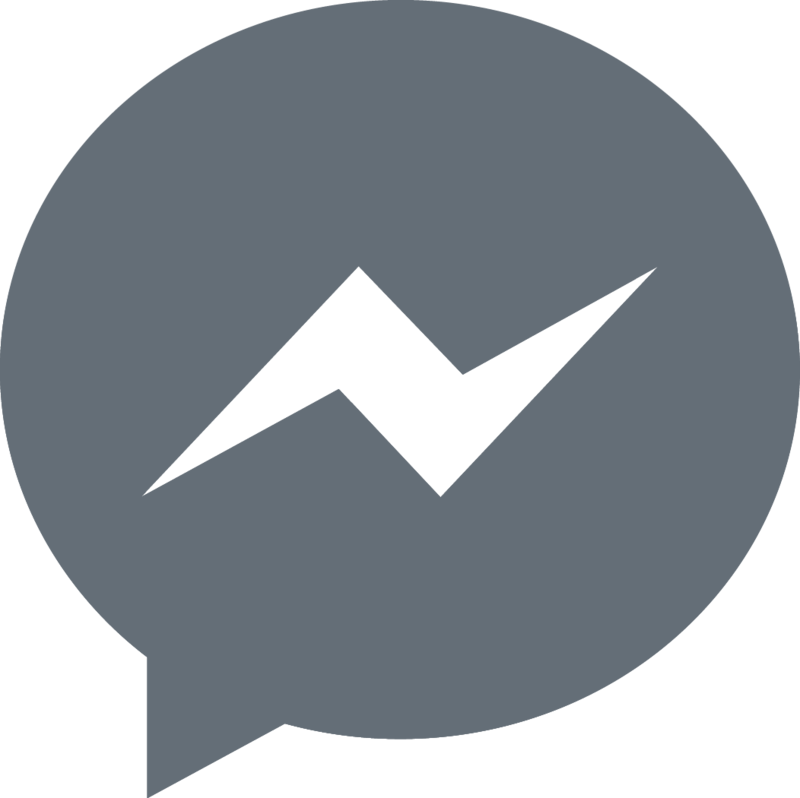 They see the upfront commitment from customers as too high, creating friction to the initial signup and therefore stifling acquisition. They also presume that the decrease in churn is illusory. Though the customers didn't have a chance to churn during those 12 months, they will as soon as the subscription is up for renewal. All annual plans do is postpone inevitable churn, not reduce it. Companies are more committed to the customers with an annual plan: With only one chance to churn each year, companies can sometimes ignore annual customers until it is too late. But if they use this increase in time to work with their customers more closely and constantly improve the product to increase the value, then there will be no thought to renewals every year. Customers are more committed to the company with an annual plan: When friction to signup is low, more low-quality customers will sign up to test the software and then churn quickly. Customers that are committing a year to your product want it to work. They are more invested in your success because if you fail, so do they. This means that they will work with you to improve your product and get the value they have paid for. From this, it seems odd that anyone still offers monthly plans. Why not just be annual-only and reap significant benefits? Some companies do this. Salesforce, HubSpot, Marketo, InsightSquared to name a few. But one word comes to mind when mentioning these companies: behemoth. Annual-only pricing is an enterprise strategy. 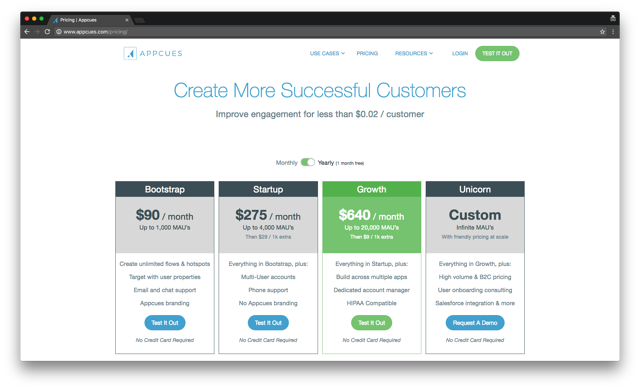 What works for most SaaS companies is to give customers an option to sign up for a year, at a discount. This is about the only time we will endorse the idea of a discount. This is what onboarding software Appcues does. 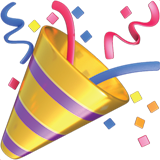 You can get month-to-month billing, but if you go yearly, you get one month free. This pricing scheme has the best of both worlds. Customers can try the product for a month or two to see if there is a fit. Then, once they have seen the value, they can move to an annual contract to use the service long-term. Between 20-40% of all churn has nothing to do with product, service, or value. It has to do with failed payments. Customer credit cards have expired, hit their limits, or have incorrect billing information. Card processors have updated their own processes or protocols and you haven't implemented these updates. The fraud detections systems at card companies and processors flag false positives. Companies miss this because they don't necessarily have visibility into this part of their finances. They also presume (wrongly again) that it is an insignificant portion of their overall churn. It definitely isn't. Consider false fraud positives. Approximately 3% of all card transactions are declined due to fraud, but up to 75% of these are false positives. This means in a $10 million business, you could be losing $250,000 for effectively no reason. This is the reason we built ProfitWell Retain. Retain reaches out to your customers, either through email or in-app notification, just as their card is about to expire or after it expires. This makes it easy for customers to update this information, and it saves your company precious churn percentages. 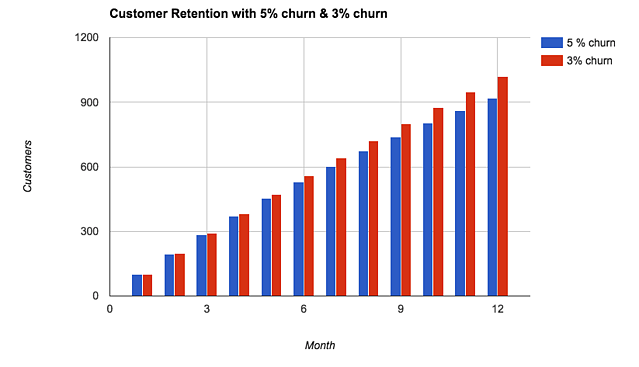 If you're hitting 5% churn each month, then reducing delinquents could knock you down to 3% churn. A few percent points might not seem that big, but when you think of this as churn per month, then it starts to add up. Churn compounds, so this difference of 2% in churn rate in month one can end up being a difference of 15% by month 12. If a company has 100 new users every month and they decrease churn from 5% to 3%, they will end the year will 100 more customers. Just from asking people to update their CC. Both of these are great ways you can reduce churn easily. Other options aren't going to be so obvious or so straightforward. Therefore it's important to build a system to reduce churn that you can iterate and replicate consistently. This is why we have our a 5-step process to reducing churn. It follows the scientific method of question→hypothesis→test→repeat to look for the small optimizations that can be had to reduce churn. Define churn goals: Your main goal is going to be reducing churn, but often that is too high-level to be actionable. It also isn't quantifiable. You need to decide on an exact X% reduction you are looking for. Once you have that you can break down higher level goals into smaller and smaller objectives. Example: you could slice by time-frame, looking for a 5% reduction on short, medium, and long term churn. Start asking questions: These are the questions that you will be answering with your testing, so they need to empirical. And there need to be lots of them. You shouldn't be testing them all at once, but this is the time that you and your team can let your imagination go wild and think up any question you can ask of your product, service, or team. Example: Would introducing a product tour to our onboarding reduce short-term churn? Develop your hypothesis: Once you have your questions you can start to assess their impact on your churn. You also want to look at the probability of success to help you prioritize different testing. You shouldn't just concentrate on the experiments that you consider will have the biggest impact. In fact, it is the low impact experiments that should make up the bulk of your tests. Example: Introducing a product tour will decrease churn by 1%, and has a high probability of succeeding. Test and analyze: Once you have your goals, ideas, and hypotheses, it's time to have fun. It's important to a) only test one idea at a time, and b) collect analytics. It is common for companies to get this far, make some changes with their product and then not actually collect any data. They presume their ideas are correct and don't think to check. Example: Run a 6-week A/B test with a product tour to see if your churn rate is decreased with the experimental group. Refine, reject, repeat: Once the experiment is finished, you can either move on to the next on your list or look to refine this initial experiment. This needs to be assessed in relation to your initial high level goals and smaller objectives. Example: Could adding two further stages to our product tour decrease churn by a further 0.5%? It isn't rocket science, but it is science. Instead of relying on hunches and guess-and-check, you can constantly iterate over each of your churn causes, chipping away at your churn rate each time. If you want to reduce churn, you shouldn't believe the hype. There are lots of ways to reduce churn, but you need to find real ways that do it, not vague platitudes about being a better company and treating your customers like the cherished souls they are. As is ever true, Chuck D and Flavor Flav were right. You should do these things, but you need to link them to concrete experiments you can test results you can analyze, and changes you can make.